The meeting will join, for the first time to the extent of our knowledge, squatting experiences from the three spheres of housing, social centres and workplaces. We understand squatting as a broad and dynamic movement, with new forms emerging no longer limited to the counter-cultural and political movements that have characterized squatting in Europe in the past decades. As a reaction to the enduring crisis in Europe, in fact, squatting for housing takes the form of a massive movement constituted, for the first time, by impoverished families. Even workplaces are being occupied by former employees or abandoned land by willing farmers. The workshop, centered on European and North-American cases, given our past experience as SqEK (Squatting Europe Kollective), will also include experiences from other parts of the world where similar manifestations of squatting are occurring. The occupation of places for meeting human needs is more than a protest tactic. When applied to housing, social centers and workplaces, it has enhanced the development of self- managed and autonomous initiatives, and cooperative networks and has contributed substantively to political struggles. Challenging unjust distributions of property, the establishment of squatted places gives birth to concrete alternatives to capitalism by furthering a long-standing tradition of autonomist anti-capitalist movements, whose aims go far beyond particular everyday life contestation. Scholarship related to squatting is an emerging field. In particular, what is being studied are the relationship between squatting and autonomous practices of self-management and squatting as a response to capitalism and the crisis. Comparative analyses between different cities have also been developed over the past few years thanks to the formation of SqEK (Squatting Europe Kollective). 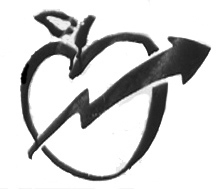 SqEK is an interdisciplinary activist- research network with its own research agenda comprised by more than 100 members from Western Europe and North America. It serves as a forum of information exchange through an email list and holds gatherings once or twice per year. 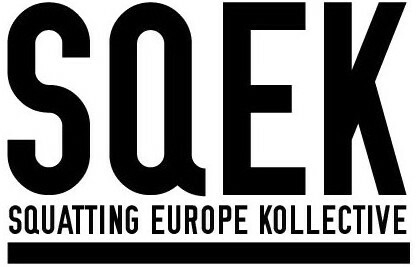 SqEK has already held nine meetings: Madrid, 2009; Milan, 2009; London, 2010; Berlin, 2011; Copenhagen, 2011; Amsterdam, 2011; New York City, 2012; Paris, 2013. Last year, we met in Rome, in May 2014. 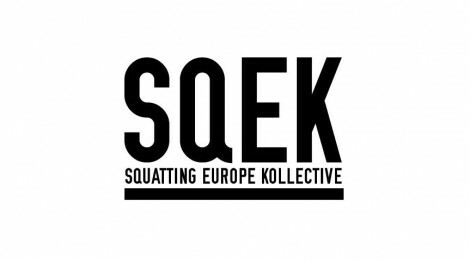 SqEK meetings represent the occasion where SqEK participants encounter local activists, gather knowledge and exchange information about the experiences of different movements across Europe and North America. Local hosts also have the possibility of learning about different European squatting experiences. Visits to squats and neighbourhoods are organised together with public debates, using both social centres and academic institutions as venues. The plan for the workshop is to establish wider activist-research networks of international cooperation about squatting and self-management that go beyond SqEK reach, and to include researchers and activists that, although not part of SqEK, share similar interests. Although we focus on squatting as a highly contentious and potential tool to scale up protests and defiance to the power elites, the meeting will serve also to work collectively on the issue of proactive self-management. Thus, we are open to exploring how to organise squatted places beyond their occupation to build up alternative ways of living, cooperative networking and radical politics. The financial crisis has resulted in the acceleration of squatting initiatives in many of the most affected urban areas, especially in Southern Europe. The event will create an opportunity to gather researchers, activists and the interested public to discuss the most recent developments in squatting and self-management. Barcelona is the city where the Spanish organisation PAH (People Affected by Mortgages) was born six years ago (2009) and is increasingly more active. In addition, a very much contested municipal election will occur in the same week of our workshop, and a new political platform which includes many grass-roots activists is expected to have many chances to win. Although squatting has been common in most European countries over more than four decades, the present crisis has raised the legitimacy of squatting among groups previously alien to such a movement. PAH’s mobilisations, for example, have found support beyond current and former squatters and have seen support from the wider M15 movement, a popular protest movement against corruption, unemployment and neoliberal policies. We also aim to bridge present-day housing-rights activists with the emerging workplace self-management initiatives, a relatively recent phenomenon in Europe and that resemble those in Latin America since 2002. Finally, we aim to convene people directly involved in these new practices of occupation with more experienced activists involved in establishing autonomous social centres or counter-cultural housing projects. As diverse as the experiences of squatting for housing, work-place occupations and counter- cultural social centers might appear, they all share the practices of self-management and the explicit desire to constitute alternatives to capitalism. In fact decision and production processes, strategic visions, social campaigns and political actions among housing activists and self-managed workers have much in common with the praxis of autonomous movements. The workshop will bring together different generations of activists and activist- scholars and to bring into dialogue political struggles from a variety of places. This will also be a chance to debate and overcome divisions between, for example, squatted and legalised (but widely autonomous) social centers. Another gap the workshop will bridge is that between establishment and continuity in cases where occupation succeeds and leads to a viable project of self-management. While bonds are beginning to form between housing rights activists and autonomous movements, most of the occupied workplaces remain isolated. The meeting will also address this relative isolation by contributing to the formation of networks crossing these three fields of squatting, social centres and occupied workplaces. * Affordable rents, public housing, and adverse possession: what are the possible futures for the squatted houses? * What political and legal strategies have occupied factories and lands followed? * What should be the principles of a campaign to defend all kind of autonomous and self-managed social centres as urban commons? * What are the common grounds in the three lines of struggles? How do we articulate these three urban struggles? * What cultural, artistic and communicative strategies support these campaigns and struggles? Information on deadlines, proposals, practical info, etc.